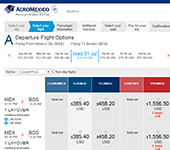 Aeromexico (officially, Aerovias de Mexico) is the national carrier of Mexico and the country's largest domestic airline in terms of market share. The company was founded in the late 1980's and is part of the SkyTeam alliance along with partner airlines like Delta and Air France. 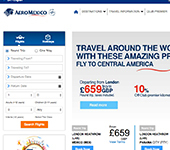 Reviews for Aeromexico have steadily become more positive over the years, with travelers especially praising the cleanliness and efficient service of the company's Premier Class cabin. 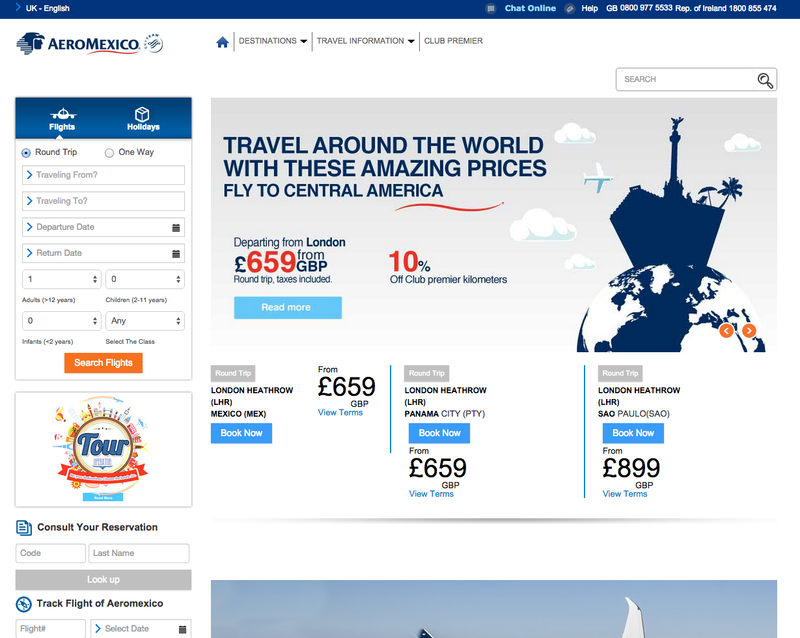 The Aeromexico website is available in a variety of languages including English and is based around a simple flight search feature and a display of limited-time deals and discount flights to major destinations in the Americas (though the company does offer long-haul flights to international destinations in Asia and Europe). In the flight search module, there is a clear button to commence a web check in and print a boarding pass from home. 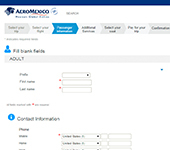 Travelers curious about Aeromexico's baggage fees should head to the “Travel Information” section in the header to find complete and updated information on the company's baggage allowance policy (currently, economy flyers are allowed one free piece of checked luggage for all flights excepts those to South America and Asia which allow for two free pieces of checked luggage). Information of the company's Club Premier frequent flyer program can also be found in the “Travel Information” section. Lower in the page, passengers will find helpful buttons to view flight status, see the details of one's reservations, and track baggage.